Open carry at the Republican National Convention- a hot topic, after one protest group announced plans to carry firearms in Cleveland. 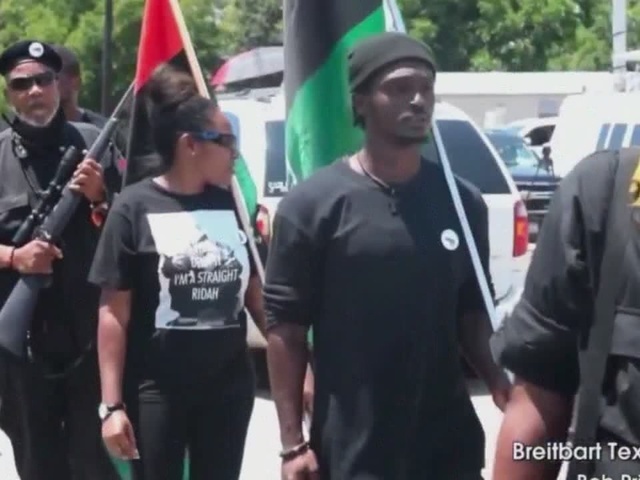 The New Black Panther Party publicly announced plans to carry firearms at the RNC. NewsChannel 5 made multiple attempts to reach out to the group and never heard back, but the group's leader, Hashim Nzinga, posted on Twitter, "I have not told anyone to bring any types of weapons to the RNC." They're not the only group talking about open carry. Gun Rights Northeast Ohio will demonstrate Open Carry in Cleveland's Public Square over the weekend for a second amendment rally. "Ohio is an open carry state, so you can openly carry your firearm," Todd Karam, with Cleveland Armory, told NewsChannel 5. So, protesters can legally carry guns in Cleveland, as long at they're outside the RNC secure zone and are not pointing guns or using them to threaten those around them. "You have to have it prominently displayed, meaning nothing is covering your firearm whatsoever," Karam said. We asked the City of Cleveland about this weeks ago, but checked in with them again. A spokesman said no changes were made by the state, so they'll follow state law. Some groups, like Cleveland's Tea Party Patriots and Bikers for Trump, told NewsChannel 5 they support the second amendment, but they will not carry weapons at the RNC. "While we strongly support everyone's Constitutional rights, the America First Unity Rally is not a 2nd Amendment Rally but a peaceful rally in support of Mr. Trump becoming the GOP nominee," Cleveland Tea Party Patriots co-founder, Ralph King, said. "I personally won't be carrying, but I support the second amendment. We are here for a peaceful demonstration, but if members of my group feel more comfortable carrying, I respect that. The groups talking about open carry, a lot of those guys are paid agitators. They're coming up cause chaos. We are not," Chris Cox, with Bikers for Trump, said.